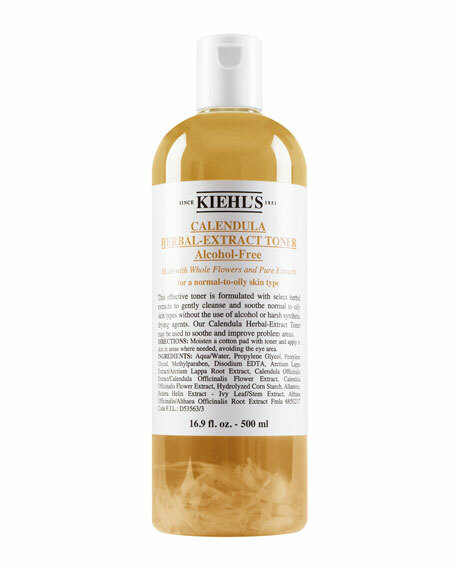 Kiehl's Since 1851 Calendula Herbal Extract Alcohol-Free Toner, 16.9 oz. 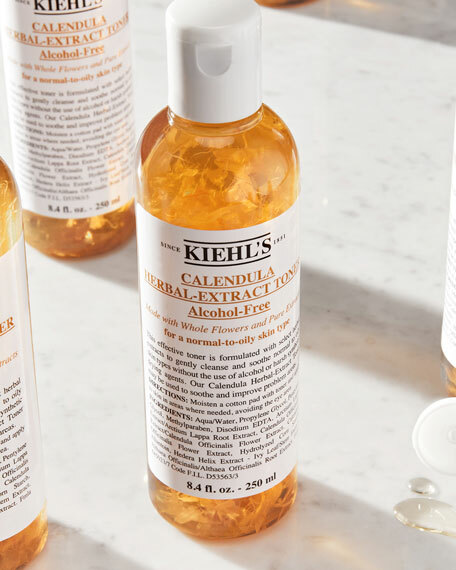 A soothing toner formulated with Calendula petals. 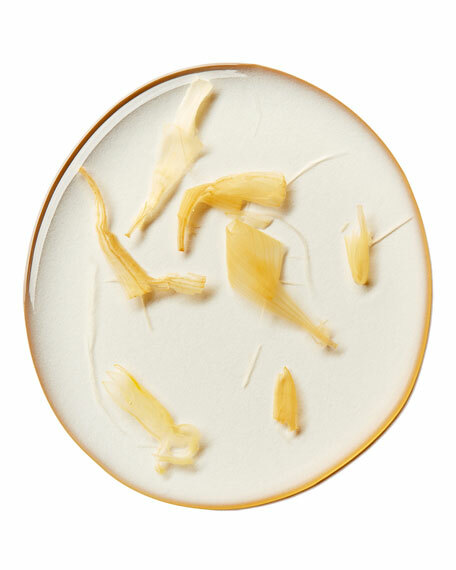 This unique facial toner for oily and normal skin soothes and improves the feel of skin. 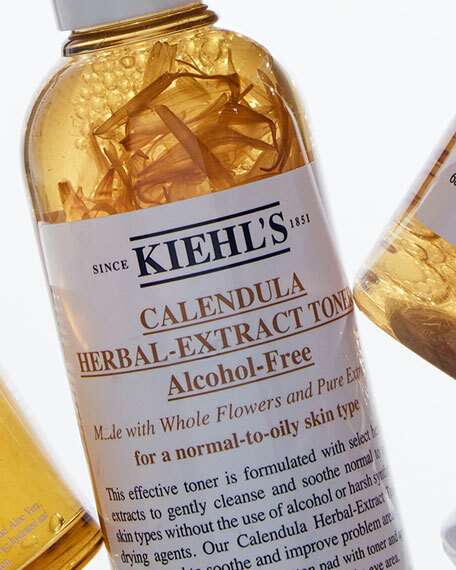 Infused with Calendula flower petals, Allantoin and Great Burdock Root, this gentle toner is free from alcohol and harsh synthetic drying ingredients. A Kiehl's customer favorite since the 1960s. • Allantoin is a compound that is found in Comfrey Root. The comfrey plant is a hairy perennial Eurasian herb long used in herbal medicine. Known to be a bacteria inhibitor, Allantoin can soothe and reduce inflammation in various product formulations. 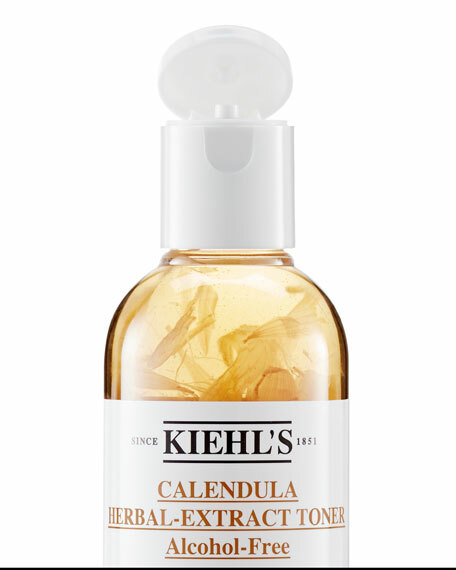 • Calendula is extracted as an oil from the common marigold flower. Its mild properties make it ideal for use on all oily skin types including sensitive skin. Soothes skin and is especially beneficial for delicate skin. • Great Burdock is a gentle, natural ingredient known for centuries to help improve dry skin.